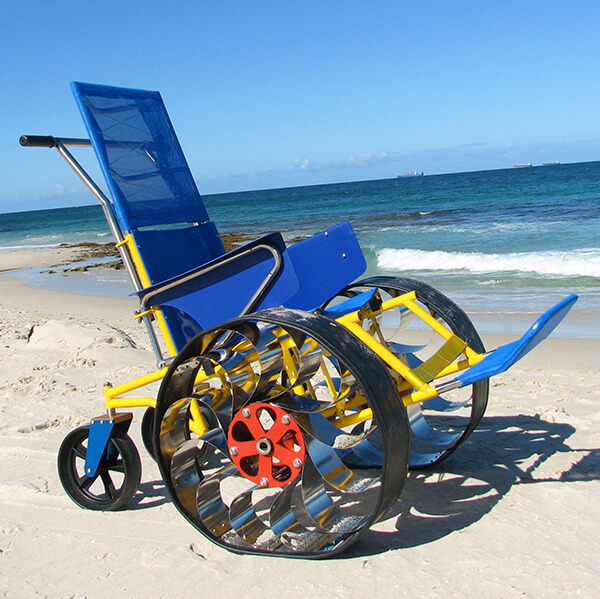 The TADWA-developed Beach Trekker is a unique beach wheelchair designed to travel across all terrains, from hard surfaces to soft sand and into the water. People with disabilities require a carer to propel them safely across the beach while seated in the wheelchair. 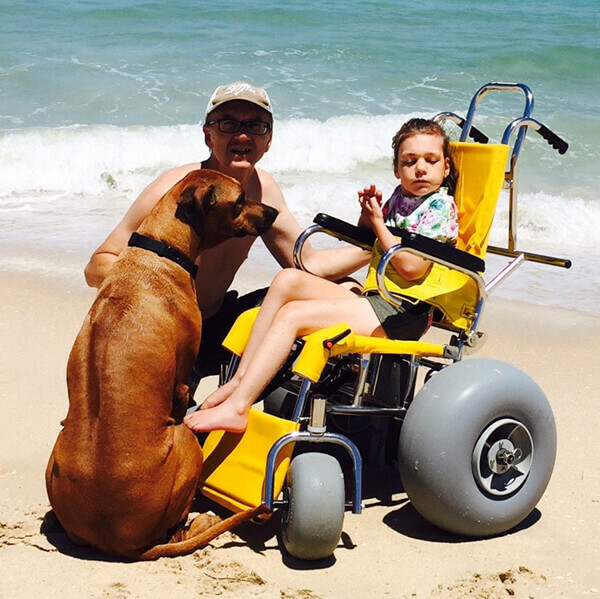 There are adjustable components built into the Beach Trekker to enable the person to be seated comfortably and allow for safe transferring.